The world was always fascinated and disgusted from the unknown. They were calling those who weren’t filling the norms of the acceptable and normal, freaks of nature. But, these poor people had only two choices – to back off and live lonely lives away from the bullies or accept their looks and make money and fame out of it. It turned out that some of these people who had certain physical abnormality become really popular and got jobs in the local circuses. The following article will present to you these people and their life stories. Long before the Hilton sisters (Paris and Nicky) there were two other famous sisters. They were conjoined twins and shared a common blood and nervous system, which means they truly felt all the same pain. They were sold as slaves by their impecunious mother to a midwife, who decided to take advantage of their misfortune. The girls sang, danced and played instruments in circus sideshows. Their slave-owner kept all their earnings and forbade them any socializing. Eventually a lawyer helped them escape from their slave owner and helped them reacquire the money they were swindled out of. 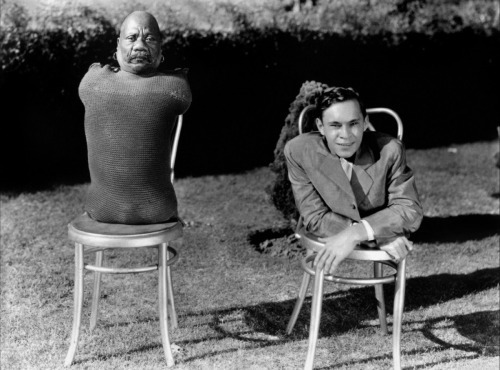 They continued in the movies (including 1932’s Freaks) and earned around 5000 dollars at the height of their showbiz careers which was pretty good sum of money. These two men were a twin pair of mentally-retarded midgets. There were small chances of their employment except in the ever-gawking circus-goers. They were bought from their mother when they were 26 by Lyman Warner, and were taught their routine by P.T. Barnum. Their act included acrobatics, dancing, speaking in “their native language” (which wasn’t true because they were talking gibberish), and reciting poems in English. 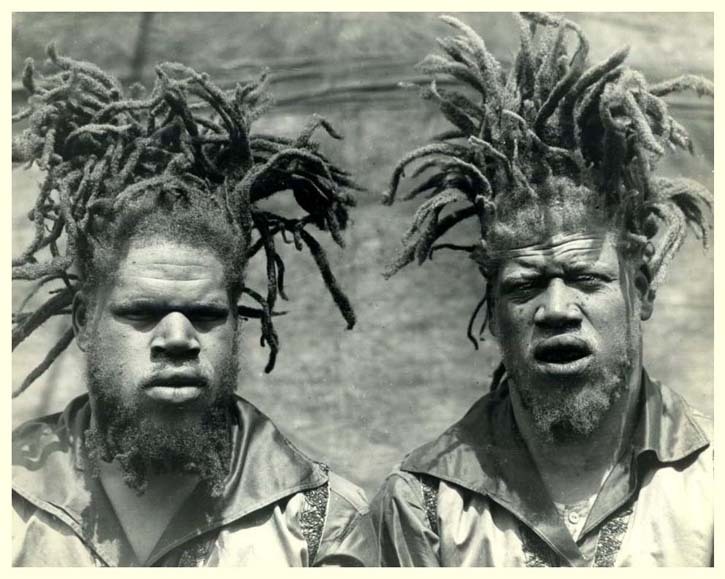 They were slaves of the Warner family for three generations; they kept on performing for almost fifty years. Unfortunately nobody helped them become free. This small woman weight only 226 grams and a height of 17 cm. Zarate weighed less than a cat as an adult. She is the smallest recorded human being on Earth, but that fact that attracted big crowd at the circus where she was hired. She was born in Mexico in 1864 and came to America at the age of 12. 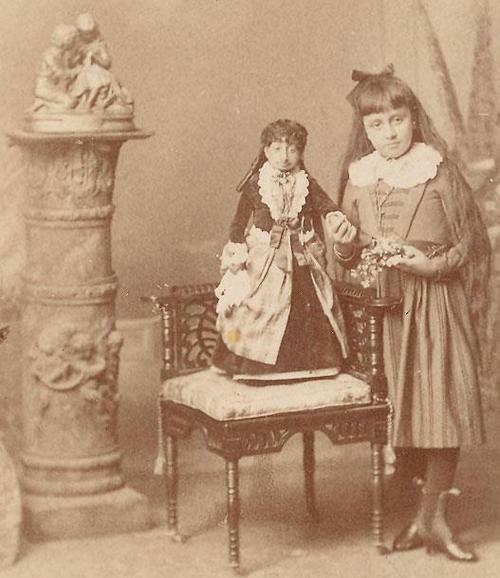 She didn’t have a sad life though – she was the highest paid dwarf at the time (at $20/hour). Sadly, when her train got stopped in the Rocky Mountains during a snowstorm, she didn’t survive that. She was only 26 years old. He had a condition called acromegalic gigantism, but the the circus where he worked, the Ringling Brothers or Barnum and Bailey was introducing him to the audience, simply as “a giant.” He stayed with the circus for long 14 years, longer than his original one-year contract. He also appeared in movies, (Jack and the Beanstalk) and of course he played the giant. Unlikely most “freaks” Earle had a normal work. He was a salesmen for a wine company, eventually becoming their PR representative, as well as a sculptor, painter, and poet (published in a 1950 book called “Long Shadows”). Quasimodo was a fictional character appearing in Victor Hugo’s book “The Hunchback of Notre Dame”. The book may have been inspired by an actual hunchback who lived in Notre Dame, but a British researcher found a memoir excerpt that told of a “humpbacked stone carver” that worked in a cathedral Hugo was very much involved with. Speculation is that he must have come across this rather antisocial individual nicknamed “Le Bossu”. It’s not hard to see how this individual could have inspired the writer, because he lived in the time Victor wrote the novel (1831). This man was just a head and a torso, and as quadriplegic he could light a cigarette with just his mouth and believe it or not he had a wife and kids (none of which shared his affliction). He showed up in the movie Freaks, and performed the aforementioned cigarette “trick”. He had a canine-like father as well. His father, Adrian, was an alcoholic, and ran from his village and into the woods one day, living in the feral manner just a stray dog only can. He faced mockery and performed in sideshows to make money. After he conceived a child, who was born equally as hairy, the father and the son toured together until Adrian ended up dying from alcohol over does. The boy continued performing under P.T. Barnum’s top hat, showing tricks just as a trained dog barking and growling as his trainer would command. 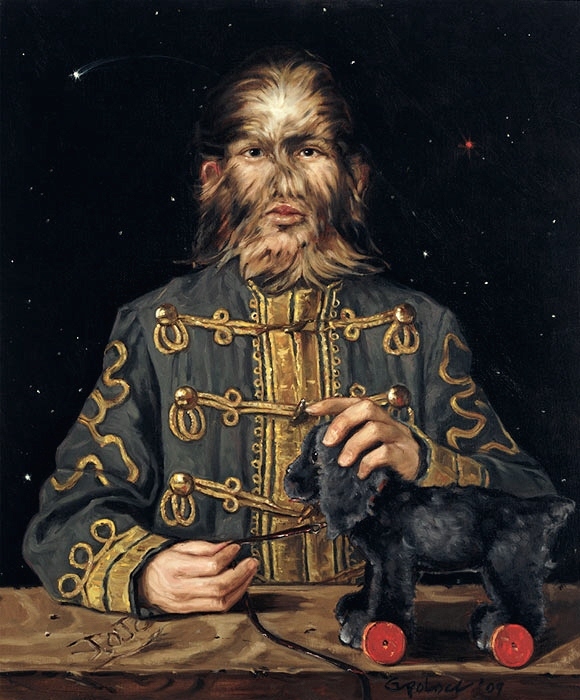 The truth was – he wasn’t a dog-child, he only had a condition called hypertrichosis. He wasn’t retarded and he was only doing the tricks only for the shows. In fact he could speak English, Russian, and German.